This short waisted 50’s style dress has a box pleat skirt and delicate lace overlay. 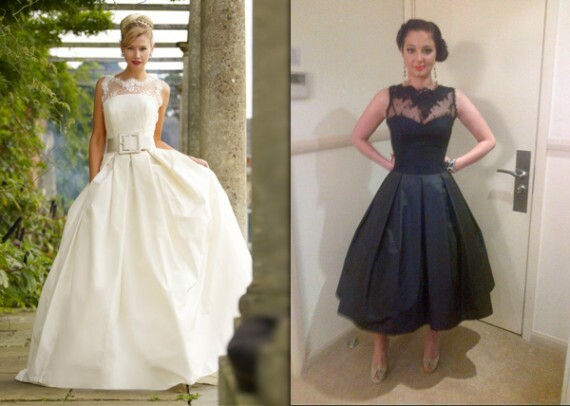 It has been reported that Tulisa definitely won the battle of the dresses on Sunday! Stephanie originally designed this gown as a wedding dress inspired by Grace Kelly, the aptly named ‘Kelly’ dress has always been a favourite of the designer herself and now it seems celebrities and press feel the same!